Motorized Mining Stopped in Oregon! There is a very long stretch of the Rogue River crossing Oregon State Lands where members can dredge. 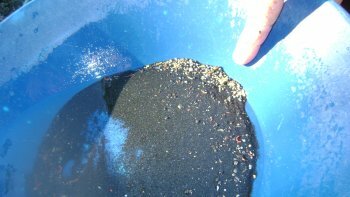 We struck high-grade gold while dredging along the Rogue River during the last few seasons. 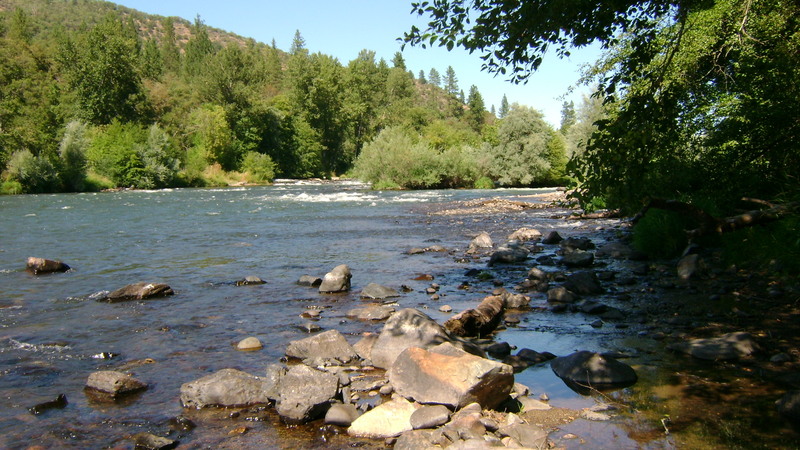 We have a Map and an Access Guide for all members who wish to suction dredge along the Rogue River in southern Oregon. Members are invited to contact our office for more information. The main difference between the Rogue and Klamath Rivers is that the Rogue has mostly-shallow gravel deposits to the pay-dirt. We have yet to find a single place where gravel depth was more than three feet. The place where Craig Colt and Dave Mack dredged over a pound of gold only had one foot of material over the pay-dirt. Many other members have experienced the same thing. Shallow streambed material allows sampling and mining go faster. The Rogue is a good dredging river, though we warn you that it is generally wide with faster-moving water. In that light, if you are just getting started, the South Umpqua River might be better suited for you. Dredging High-grade on the Rogue River! Extreme Prospecting along the Rogue River! More High-grade Established Along the Rogue River! Member Strikes High-grade on the Rogue River!